Advanced students and basic researchers in neuroscience, neurology, radiology, neurosurgery, anatomy, psychology and psychiatry. Winner of the British Medical Association’s award for Best Illustrated Text for 2016. An excellent book. A wonderful work. 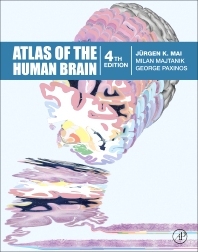 An atlas which should be in every neuroscientist and any clinician’hand. Thanks a lot for this real Bible. An amazing work, with so much knowledge and so many impressive pictures. One of my top ten neurology books.